I’m continuing my series on YA books! Read the first post here. I’ve asked my good friend Karla to help me with this post. You’ve heard me talk about Karla before. She’s my YA partner in crime! Like me, Karla loves YA literature. She also has two theology degrees and has an interest in spirituality/religion like me, so I thought she’d be a great person to invite to help me list some YA books for the spiritually inclined. I warmly welcome Karla to the blog! When Karissa first asked me if I wanted to join her in this blog I thought, oh man am I going to be able to come up with some good books? Then I started looking and realized a bigger issue was narrowing down which good books to share. In truth, there is spirituality in a large portion of YA literature because it is such a big part of growing up. 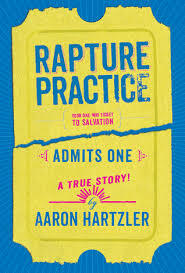 I decided, though, to focus on some books that have always fascinated me because their takes on spirituality are different than the one I have grown up with and am used to. So these might surprise you, but give them a chance. Seeing things from another perspective is an amazing way to learn about yourself and your spirituality! 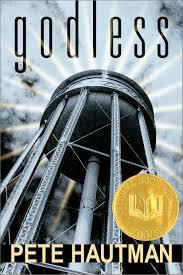 Godless by Pete Hautman – This National Book Award winner is about a boy who is questioning his parents’ faith and is a bit sarcastic. He decides to create his own religion, naming the town’s water tower his new God. In struggling to remain true to his new religion, Jason learns a lot about himself and faith. 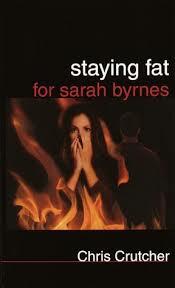 Staying Fat for Sarah Bynes by Chris Crutcher – This is a book about bullying, or so it seems. It is actually a book about so many things. It is about issues. It is about the myriad of issues that teenagers face and how serious they really are. At the heart of these issues and dealing with them, it is about the faith and spirituality of teenagers and how that leads them through. This book will make you cringe and possibly cry. It will also make you realize how important the important things really are. 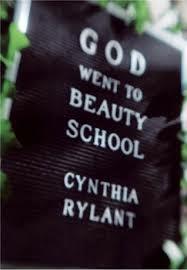 God Went To Beauty School by Cynthia Rylant – This book of simple poems asks (and answers) the question what if God came to earth today in a way teenagers can understand. It makes spirituality and God something accessible to them and to everyone. It is humorous, sad, thought provoking, irreverent, and beautiful. You have never thought about God like this before. Be sure to check out more of Karla’s writing at her blog! A Ring of Endless Light by Madeleine L’Engle – If you’ve read my blog for long, you probably know that I’m a huge L’Engle fan. This book is part of her Vicky Austin series. Vicky is at her dying grandfather’s house for the summer, and she is also helping with a dolphin project in town. Death is a major theme in this book. Vicky questions the meaning of life and death while marveling at her grandfather’s strong faith. 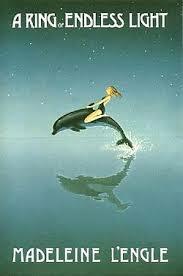 Oddly, it is her work with the dolphins that helps Vicky cope with these hard questions of faith and suffering. This is a beautifully written book that shows us how all creation is involved in life, death, and faith. The Grisha Series by Leigh Bardugo – I picked this series because it addresses how spiritual/religious people treat saints. 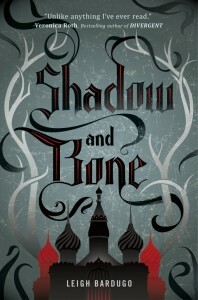 The main character, Alina, finds out she has the power to control light and is taken to the Grisha castle to learn how to wield her power. Eventually, her secret gets out and she becomes known as the Sun Summoner or Sankta (Saint) Alina. The weight of being a real-life revered saint weighs on Alina. The other spiritual side of this book was that Alina felt a connection with her evil nemesis, the Darkling. This book really showed that we all are a mix of light and dark inside. 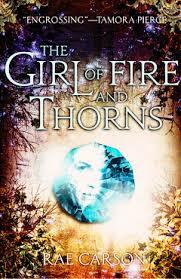 The Girl of Fire and Thorns Triology by Rae Carson – I wrote a longer post about God’s will and God’s plan in these books that you can read here.